Coastal living and beach cottage decor are comfortable and relaxed. The sheer pale color palettes of the coast, wonderful for summer, has also crept into the increasingly popular gray color scheme. 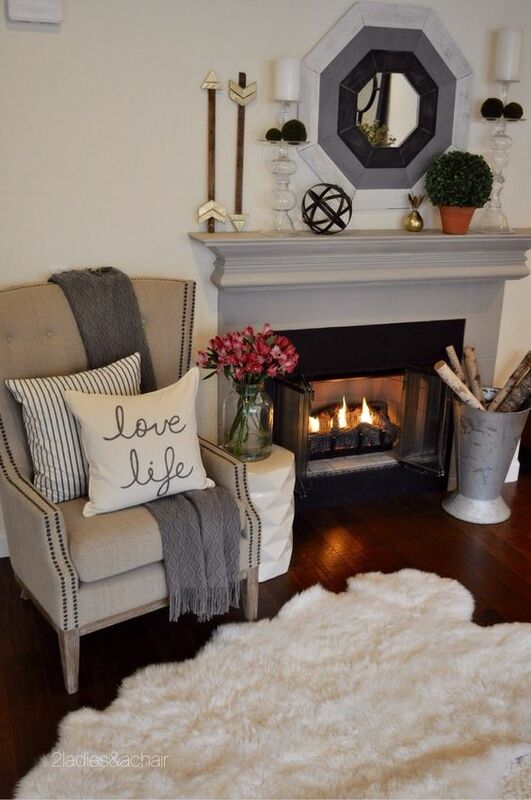 So, if you have rooms with cool grays and whites you may want to keep reading and transition for the winter months to create cozy, rich warm rooms while keeping comfort and character in tact. Contemporary coasting living and beach decor make great use of simple natural textured materials. 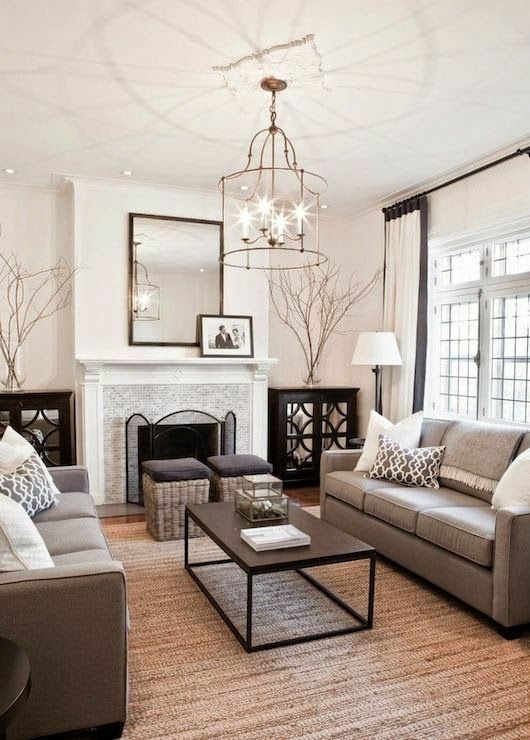 By using simple lines and clean finishes you can create a very classic sunlit look in summer and warm rooms in winter. Its all about discipline; uncluttered artwork and large comfortable furniture, crisp white back grounds and bursts of bold color. Layer in natural decorative items, woven materials, vibrant hues, and bold prints to add more or less to your decor. 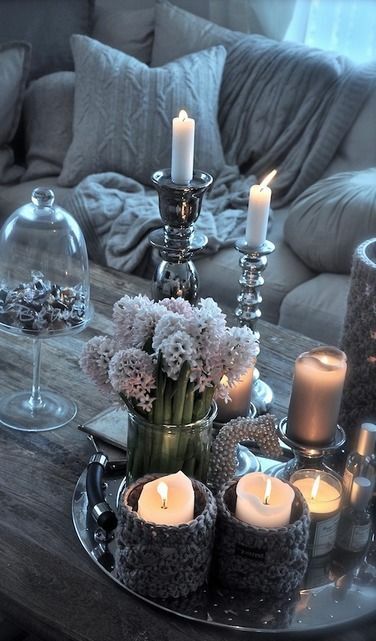 Transitioning this look from summer to winter decor is not so difficult if you think in terms of adding more natural texture and color and can include these ideas below. The crispness of pure white bath towels, bed linen and even sheer curtains have a summer coastal beach look that doesn't feel as embracing in winter. Adding layers of texture, like throws, pillows and linen, even in the same color palette will instantly add warmth to your rooms. 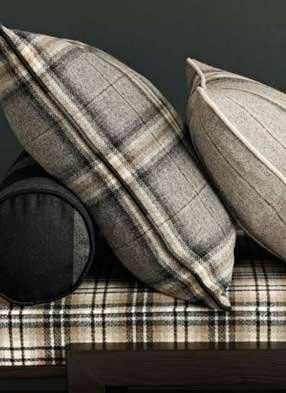 Fabrics such as wool, cashmere, velvet in rich colors can be perfect additions to bedrooms and living areas for beds, sofas and chairs in winter than can be stored away in spring. 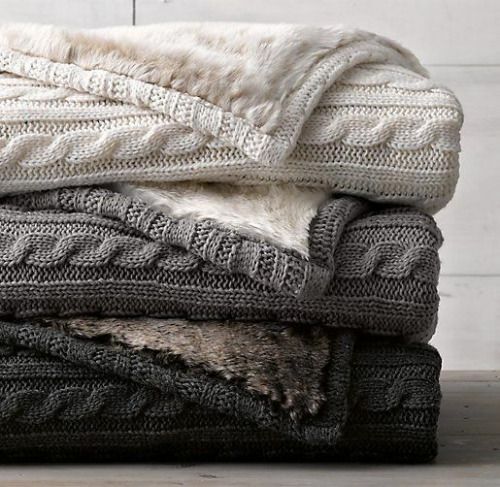 Add cashmere blankets and throws. Comforters, duvets and blankets can give your bedroom a fresh new seasonal look. Erect a windbreak wall. 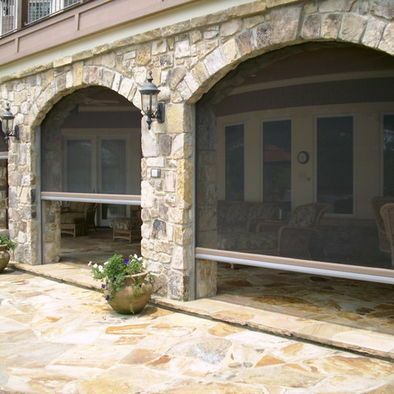 This allows you to see your surroundings, be shielded from the elements and transform your outdoor patio or porch. There are lots of different styles from glass, plastic and metal. If metal is used for the windbreak, make sure it is perforated to avoid strong winds from damaging it. Add throw pillows and blankets to furniture. There is nothing as comforting and soothing as the contrast of a cool evening while wrapped in warm blankets and pillows. 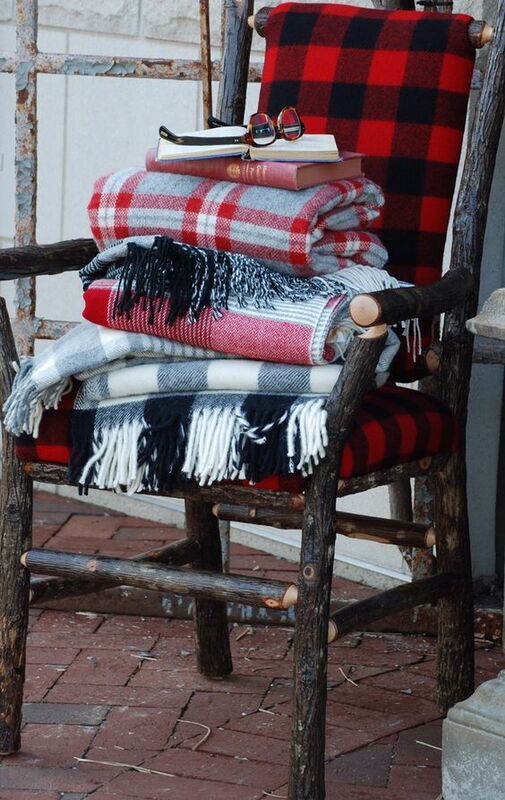 Even low comfortable deck chairs and sofas can be made winter friendly with the addition of blankets and pillows and adding bold colors will balance out any pale furniture pieces. Warm up with an outdoor heater, fire pit or fireplace. Installing an outdoor permanent fireplace is wonderful but not always possible or practical for coastal living or beach decor. A fire pit is perfect if you have the space and creates a similar ambiance. If space is an issue, consider different outdoor heater styles that can give you the same result for less money and still look spectacular. From standing restaurant style heaters to wall heaters, there's no excuse not to use your patio or porch this year. Add a cover. 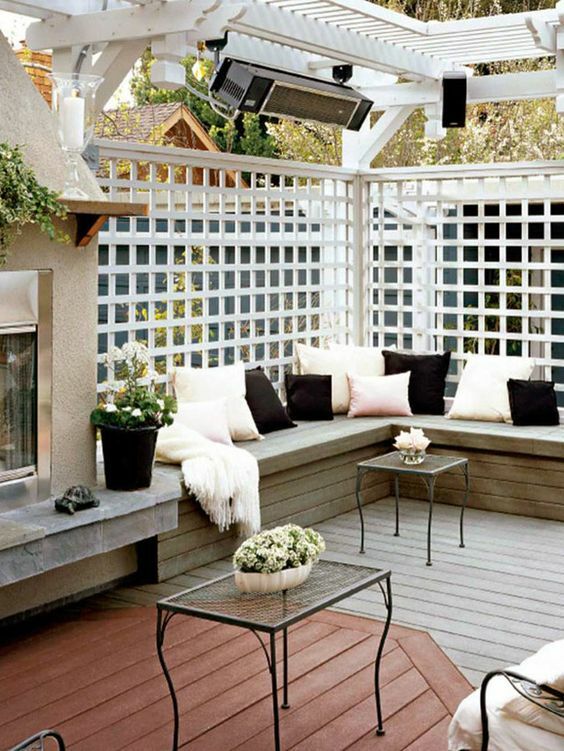 If you outdoor decking is without a cover, this could be the year to add one. 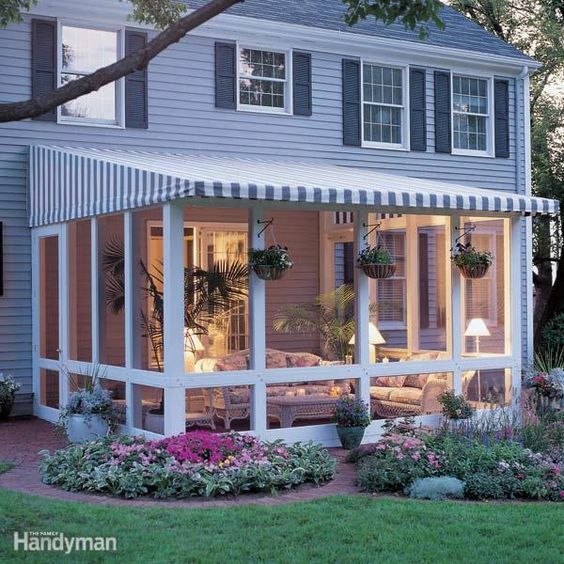 It might be a considerable investment but there are lots of different ways to create a covered patio without it being a permanent or expensive structure. Smooth, raw or rough finishes are great for a natural look and feel for coastal living and beach cottage decorating and also work well with neutral gray color palettes. Wood, mostly for tables, chairs, coffee tables or wood frames, balances out any crisp or cool colors in rooms. From driftwood, stone or reclaimed timbers, pale or warm woods; you are less likely to change these pieces from summer to winter. They are permanent, so changes must come from smaller changes and other items. Layer colors, patterns and textures. 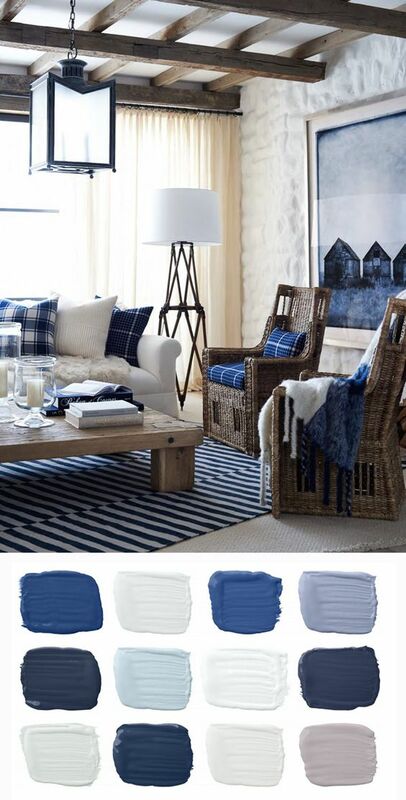 This is an opportunity to add warmer bolder colors, stripes, florals and checks to your decor. If you don't want to add bolder colors, consider adding richer, heavier, plush textures. 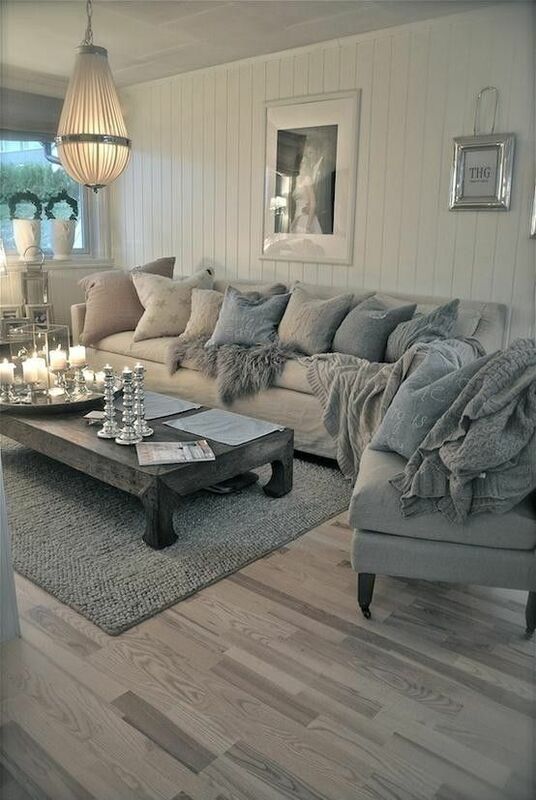 You will still get a cozy warm effect while still keeping your softer color palette. Mirrors. Mirrors reflect and add natural light to a room, and in winter they are a great investment. Swap a painting for a wide richly frame mirror; adding color or texture to your room and another layer of warmth. Rugs, woven baskets and lamp shades. Swapping out rugs or lampshades or adding woven baskets is an inexpensive way to add more texture or color to your room over winter. Slip covers. Your summer chair and sofa decor may include fabrics such as cotton, canvas and linen; great for families and very durable. Your winter slip covers can be darker, more striking colors or in heavier textured fabrics for a whole new look while protecting your sofas and chairs. Fireplace. If you have an indoor fireplace consider converting it to gas or electricity. Its easier to maintain, adds a wonderful glow to your rooms and is energy efficient. Fireplaces in bedrooms are particularly glamorous and extravagant for coasting living decor. Highlighting them with touches of yellow, coral, red and mushroom or even chocolate can quickly change your look from summer to winter. Using them through out your home to transition your home for winter will give you a seamless look. If you prefer a single accent color, consider adding a warmer tone as a contrast. For example, if blue gray is your main color throughout consider adding a strong warmer, richer gray as accents over winter. Aluminum, chrome or stainless steel shades have a cool summer look but for a soft ambience, avoid these cooler metals and swap to copper or brass looks. Avoid “cold” blue lights by swapping bulbs to warmer tones in lamps and task lighting. Home with large expansive windows are wonderful in summer and a highlight of coastal living and beach decor design; but difficult to live with in winter. You can still take advantage of the sunlight in winter by using layers of sheer curtains, blinds or curtains; adding more layers of texture and fabric to rooms, particularly bedrooms, to keep heat in overnight. Quality light bulbs such as LED and CFL bulbs can also lower your electric bill. 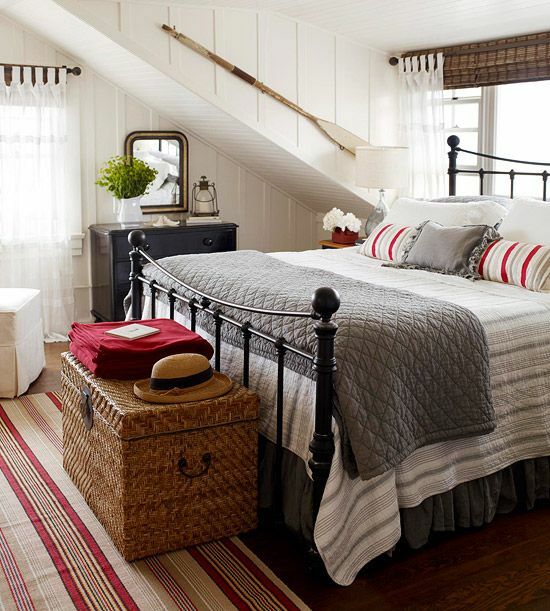 Flooring such as timber or sisal rugs are a perfect addition to coastal and beach cottage decor. Whether you have stone tiles, slate, polished concrete, stained or lime washed wood floors, bamboo or vinyl flooring, during winter adding rugs in a natural fiber such as hemp or woven wool will keep your coastal theme in tact while adding another layer of texture. Put them down in winter and remove them in summer. They will keep your home warmer in winter and make your home feel more comfortable while you transition from summer to winter.